What formal studies would lead to my becoming a professional paleontologist? The field of paleontology is an interdisciplinary field, requiring knowledge from many other fields of science, such as biology, geology, physics, and chemistry. Because the field requires a broad range of knowledge, there are relatively few educational institutions that offer degrees in paleontology, or in the more specialized field of dinosaur paleontology. In high school, the best strategy would be to take as many science and math courses as possible, such as physics, chemistry, biology, geology, computers, and mathematics. A foreign language would also be helpful. The student should also read as much as possible on fossils and dinosaurs; visit museums with dinosaur displays; talk to other dinosaur paleontologists for information; and perhaps volunteer to participate in dinosaur digs. In college, the more science courses you attend, the better. Most paleontologists have degrees in zoology or geology, and some have degrees in both. Zoology is useful for understanding the biology and taxonomy of animals, in this case dinosaurs; geology is needed to understand the local fossil environment, as well as to interpret the natural processes that occurred when the animal lived. A double major in zoology and geology would be ideal, but if that is not possible a major in one and minor in the other would suffice. Any other course to broaden the student’s knowledge would be useful, such as statistical analysis and ecology. Conversing with professional paleontologists would give the student a working knowledge about the field of paleontology, and what is required to succeed in the field. Most professional paleontologists have advanced degrees, and a master’s or Ph.D. in paleontology can be obtained at a few colleges and universities. The student should carefully research the particular emphasis at their chosen college; the student should also check out the academic interests of the college faculty, making sure there is a match with the student’s own interests. 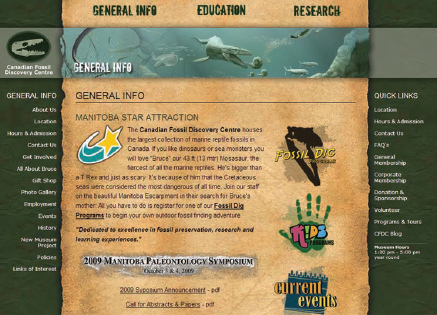 Check out Web sites like the Canadian Fossil Discovery Center to learn about how you might be able to participate in a dig.